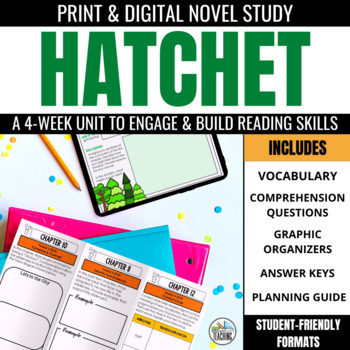 This novel unit for Hatchet by Gary Paulsen can save you hours of prep for your literature circles or book clubs. Daily comprehension practice requires students to focus on text analysis and responding to literature, and the vocabulary focus builds word knowledge and academic vocabulary. 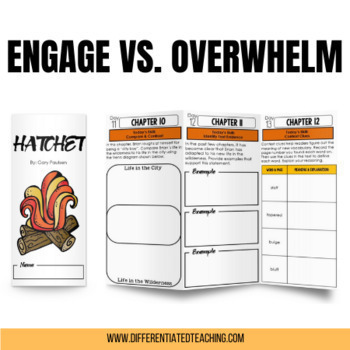 This no fluff Hatchet novel study engages students, but it doesn't overwhelm your readers with countless chapter questions that just require them to regurgitate the text. Standards-aligned & perfect for novel studies, small group book clubs or lit circles, independent reading, or as a way to monitor and teach during read alouds. 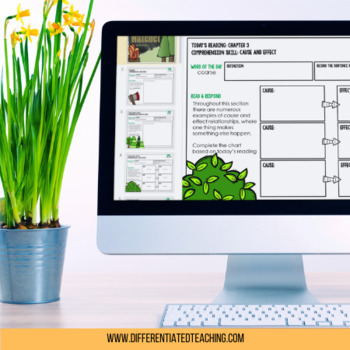 Download the preview to learn more about this product and see photos of the resource in action. Pay only $6 for this novel study when you purchase it as part a Build Your Own Trifold Novel Study Bundle!